Plante added that the decision is a “recognition of the role of secularism in the institution, and for me, there is a stark distinction between individual and institutional secularism,” she said, according to the CBC. “They can do what they want about that. 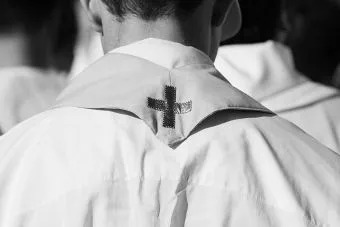 The National Assembly has always decided to maintain (the crucifix) and that’s the position of the government because it’s a (historical) symbol,” he said. 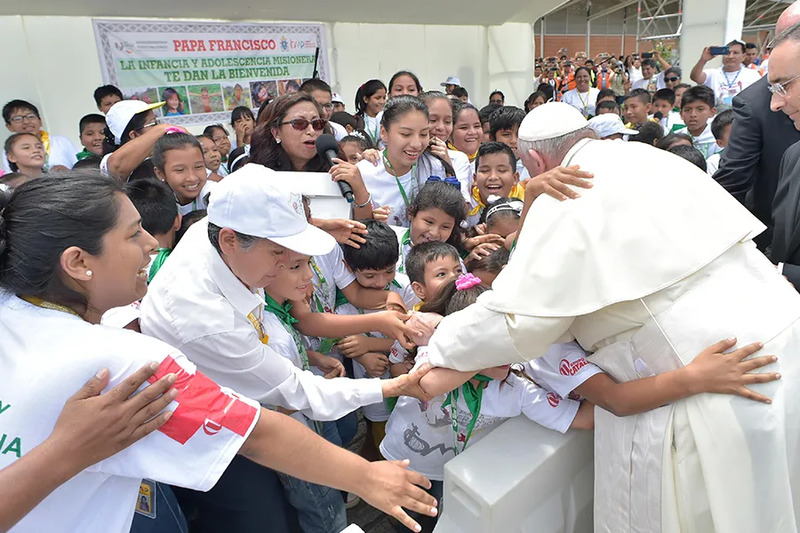 Puerto Maldonado, Peru, Jan 19, 2018 / 10:34 am (CNA/EWTN News).- Pope Francis visited one of Peru’s most biodiverse regions Friday, telling its inhabitants that while remote, their land is not forgotten and must be cared for. He also stressed the importance of fighting such scourges as corruption and human trafficking. “’We are not a no man’s land.’ It is something that needs to be emphasized. You are not a no man’s land. This land has names. It has faces. It has you,” the Pope said Jan. 19 to the people of Puerto Maldonado, the capital of the Madre de Dios Region in the Amazon basin. He visited Puerto Maldonado on the first full day of his Jan. 18-21 visit to Peru, after spending three days in Chile. The Amazonian region is of special interest to the Pope, considering his 2015 encyclical on care for our common home, Laudato si’, and his decision to hold a Pan-Amazonian synod in 2019 to discuss the challenges the area faces. Before meeting with the inhabitants of Puerto Maldonado, he met with members of the Amazonian community, and distributed copies of Laudato si’ which had been translated into the local languages. Held in the city’s Jorge Basadre Institute, the encounter with the people of Puerto Maldonado began with a greeting from Bishop David Martinez de Aguirre Guinea, Vicar Apostolic of Puerto Maldonado, and the testimony of a catechist. The Pope then urged the community to continue forming movements and organizations aimed at overcoming the plagues of corruption and trafficking. “I likewise encourage you to gather, as people of faith and vibrant ecclesial communities, around the person of Jesus,” he said. Morelia, Mexico, Aug 27, 2018 / 03:20 pm (ACI Prensa).- The Archdiocese of Morelia confirmed Saturday that the corpse of Fr. Miguel Gerardo Flores, who had disappeared for a week, had been discovered. The Morelia archdiocese said Aug. 25 that the body of Fr. Flores, of the Missionaries of the Holy Family, was found in Nueva Italia, 100 miles southwest of Morelia in Mexico’s Michoacan state. The clerics of the archdiocese “join together in their sorrow and express our condolences to the Missionaries of the Holy Family,” according to the statement. “May Our Lady of Health intercede for our brother priest, console his mom, siblings, friends and the entire Missionaries of the Holy Family community,” the archdiocese stated. Fr. Flores was born in Sombrerete in the state of Zacatecas, and was ordained a priest in 2007. The Archdiocese of Morelia informed that Fr. Flores, who was 39, was born in Sombrerete in the Mexican state of Zacatecas and was ordained a priest in 2007. He was serving as parochial vicar at St. Catherine of Alexandria parish in Jucutacato, about 70 miles southwest of Morelia. Fr. Flores was last seen Aug. 18 in Uruapan, of which Jucutacato is a suburb. At least four priests have been murdered in Mexico this year. Acapulco, Mexico, Feb 6, 2018 / 07:00 pm (CNA).- The Archdiocese of Acapulco, Mexico, reported that two priests were murdered early Monday morning, Feb 5. Fr. Iván Añorve Jaimes, pastor of Holy Family Parish in the town of Las Vigas, and Fr. 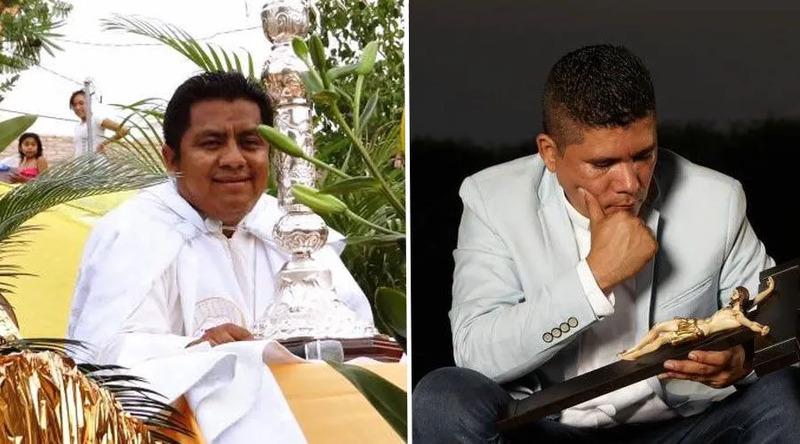 Germain Muñiz Garcia, the pastor of Mezcala; were killed in an attack by unidentified individuals in Taxco township. According to a press release from the Guerrero State Attorney General’s Office, the victims were traveling on the Iguala-Taxco highway when they were suddenly cut off by another vehicle, from which shots were fired. The assailants fled the scene. “As a Church we are greatly troubled by this tragic event which is mourned by the entire archdiocesan community and that of the Diocese of Chilpancingo-Chilapa. We call on the authorities, that once the truth is known, that justice be served,” a statement from the Archdiocese of Acapulco reads. “Let us not relent in our efforts to build peace in our family, in our community, in our state, in our homeland. Let us ask the Lord for this peace every day,” the statement concludes. The truth is nobody said that. Yes, the symbol has been removed, but anyone, at any time, can call for divine guidance via the words of their particular religion. Now it is also true that such a call is a mental prayer, not a public plea in a secular government setting. But — so what? So what if it is but a mental conversation with a deity? It is the belief of Christians that mental prayers are as well heard as vocal ones. If one does not believe that, then one is not well versed in Christian doctrine. Of course there will be the argument that God has been removed, cast out, not there, forced out by man — to which I say baloney. God does not take orders from man. Believers know He is there, always has been, always will be. All one needs to do is open one’s mind and think, pray, plead, whatever, as one’s religious training dictates. It is nobody else’s business how or when you have such thoughts. It is not your business when, or how, anybody else does. And it is not the business of the government to know or guide in these prayers, pleas, or guidance requests from one’s deity. “He who denies me before men, I will deny before the angels”.